Have you ever been looking for a breakfast that felt like a dessert? Or a healthier dessert on a hot day? Well, here’s the answer! When I saw the 2-ingredient banana ice cream recipe on several blogs, I wondered, “How can I make this even more flavorful AND add a colorful boost of flavor?” So, I came up with this Banana Berry Ice Cream. All you need is a blender, some frozen fruit, and a splash of milk for a tasty treat! Often times, I like to make this delicious recipe for breakfast topped with fresh berries and almonds or pecans, or add more milk to create a smoothie out of it. Not only do I enjoy this, but my younger brother, Liam, has given this recipe a thumbs-up- and he is definitely a picky eater! If you are trying to win over reluctant foodies, make this ice cream! 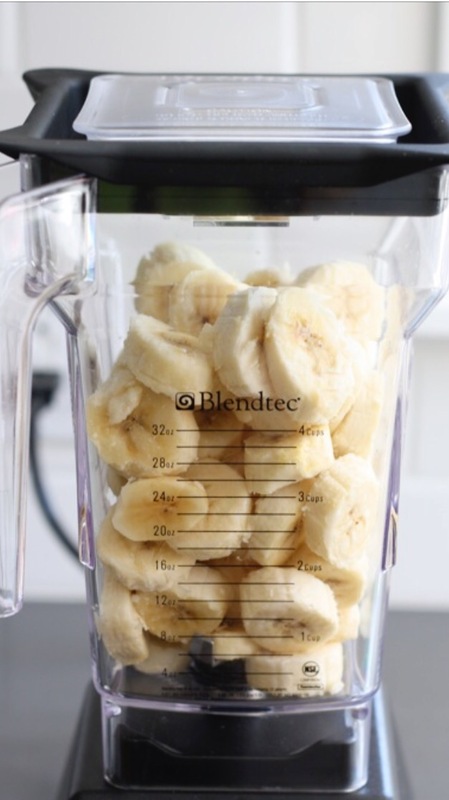 Add bananas, berries, and milk and blend until you reach a soft serve ice cream texture. Serve immediately for a frosty treat! « A Thank You to Lisa Leake!